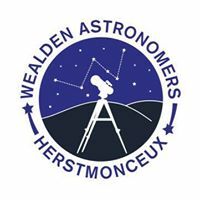 Wealden astronomers will be at the Observatory Science Centre Herstmonceux on the evenings of FRIDAY 10th and SATURDAY 11th January, between 18:30-23:00 for the BBC Stargazing Live events. Viewing will be subject to weather permitting on both evenings. **Please note these events are not part of the BBC Stargazing Live programmes or the BBC Learning events - Instead they are supplementary local astronomy based viewing evening events. For details on the broadcast BBC Stargazing events please view the programme website here.